Trade in food, groceries, clothing and home appliances is an important line of the municipality's economy, furthermore, livestock business is considered the main form of economy allowing dynamic in regional development. The main crops are bananas, cassava and maize together with others that are planted on a smaller scale. Activities such as fishing and mining and timber trade must be checked by the environmental authority in order to prevent the deterioration of the resource. 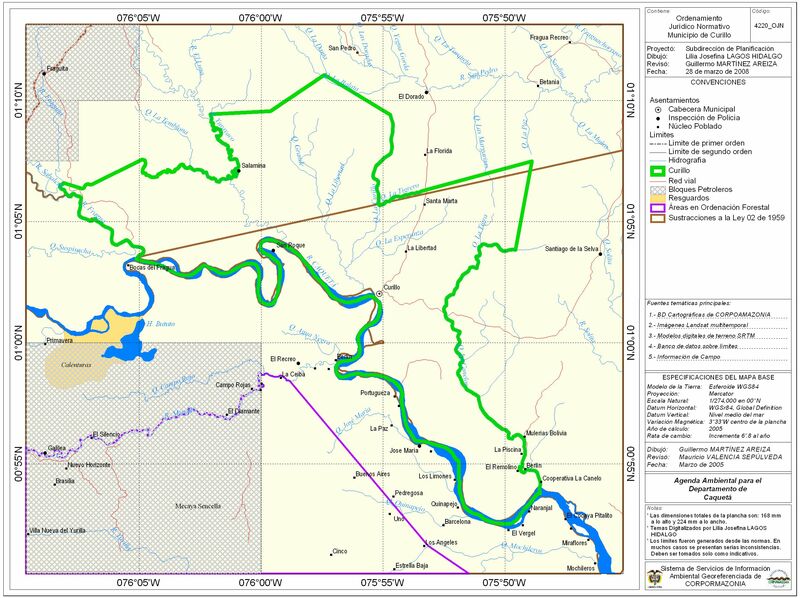 Limits of the municipality: San José del Fragua, Albania, Valparaiso, Solita, municipality of Puerto Guzman Putumayo, municipality of Piamonte, Cauca. The Curillo municipality has not a big variety of places to stay, however a couples of "posada" or "residencias" can be found. Being a small municipality, most of the people who visit the town stay in houses of relatives or friends. Some of the places where you can get relaxed if you are not exploring the town anymore are located inside the municipality. This building was built in 1998 but its usage by people has been limited due to low traffic in Curillo because the bad conditions of its main roads. This treatment plant was built in 2000 in order to purify the water from the municipality, replacing the old high tanks that were used in the past.